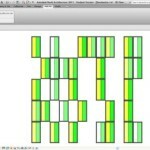 It has been a common issue on the large Revit projects with tons of different views – searching through the tree-browser for the ones that you want to open – QuickViewAccess Revit Addin attempts to solve this issue. 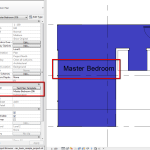 Revit 2013 has that search functionality, which partially solves the problem but is still not very user friendly nor fast way to access your views. So, I usually during a Revit session use certain “working” views much more often then any other view, for example my 3D view or some plan views. The hustle is when you have to scroll through the browser and look for them any time you need them. 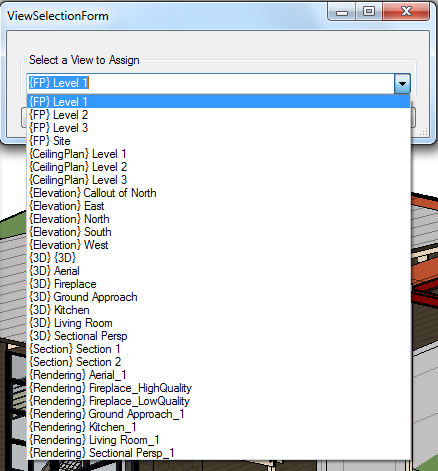 To address this issue I wrote a QuickViewAccess Revit addin that you can assign 5 of your most often used views. It is super simple in operation. When you run it for a very first time none of the views are set and you have to set those that you want to be able to access by clicking on the “Set/Reset” button next to each link, which will open another window with your project views that you can pick from. Once the view is assigned to the link the text will change from to the name of the view. When link is set you can click on it and it will set that view to active. 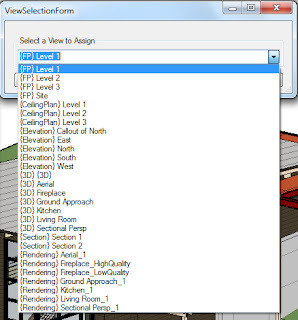 Once you set the views that you needed you can click “Exit and Save” button, which will make the software remember your view selection for this particular Revit file and for any other time you invoke this command. 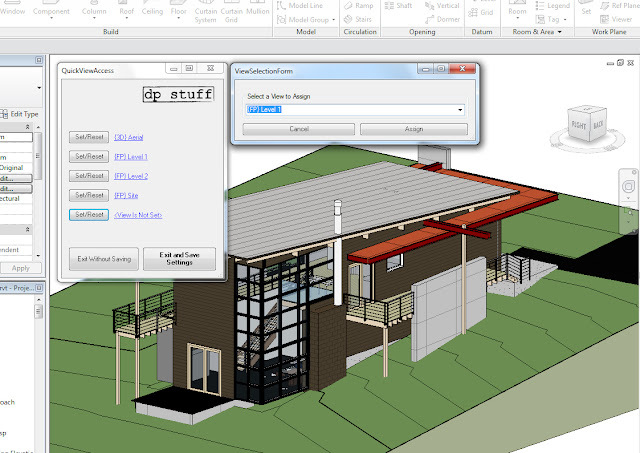 This plugin stores the views that you assigned to it in a text file so even if you close Revit session and reopen this file some other time – when you invoke the QuickViewAccess Revit Addin it will bull out the same views that you stored in it last time. The best thing to use it is to set a short cut for it. I have a “QQ” short cut set for it any time I need to open any of my views. 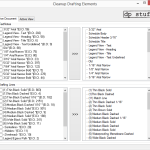 So, give it a shot if it fits your workflow and if you think it will make you more productive. Go to my download page to get the installation files. Awesome work, can you please make a version for Revit 2013? 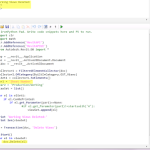 Should the file “QuickViewAccess.dll” contain 2013 in the end of the name? 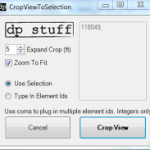 When I start to use Revit, a message appears “the file C:/dpStuff/QuickViewAccess2013.dll does not exist” I tried to change the name of the file, but I guess there comes the problem. Hoping some answer, I say good bye. Greetings from Paraguay! Sercho, sorry for late reply. 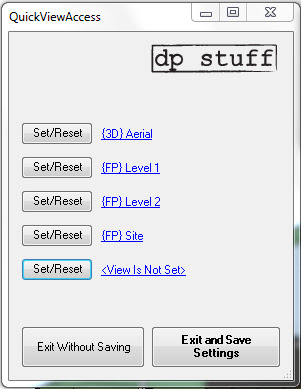 This message means that revit cannot find the dll file with the plugin when it starts. Make sure you create a folder dpStuff under C:/ (unless it already exists) and place the extracted QuickViewAccess2013.dll file in that folder. And yes, if you downloaded the 2013 version of the addin the file that you downloaded should contain 2013 in it.